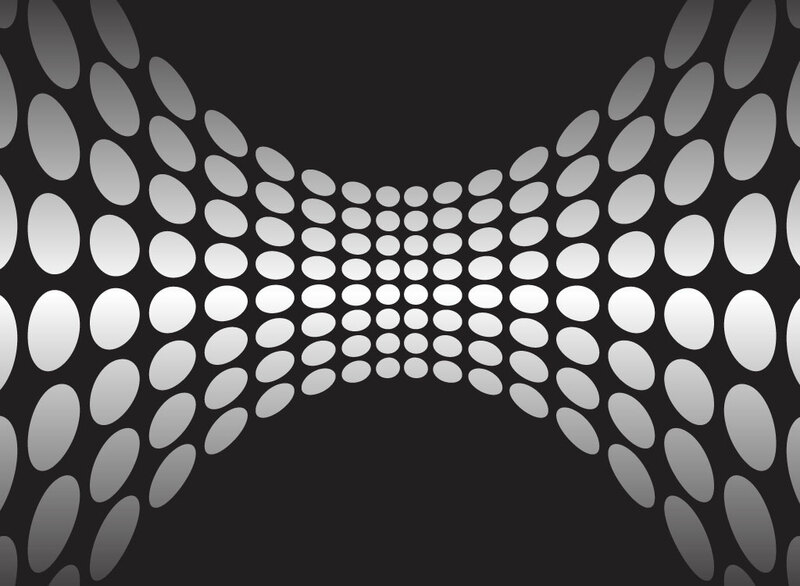 Black vector background image with a horizontal wave of silver gradient dots stretching backward into perspective like a rubber band. Perfect color scheme and feel for tech industry branding materials like business cards, envelopes or identity kit folders. Tags: Business, Dots, Ellipse, Halftone, Modern, Spots, Squashed, Squeeze, Wavy.